Once again, KLING & FREITAG will attend the Tonmeistertagung at their usual booth Stand B26 Boulevard Nord, this year offering a technical lecture on “K&F VIDA L and K&F VIDA C” in lecture room R3. For all interested parties, a complete VIDA-SoundSystem is installed in room R3 for the complete event. This way the system is available for listening throughout the whole event. 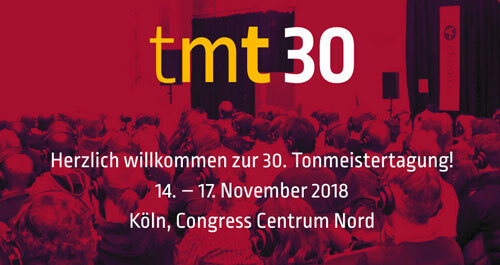 The schedule and complete info can be found on the website of tmt30.